What do you expect for your new home? Take a closer look at what Ventura Homes offers you, and why you’re assured a stunning design with lasting value. Award Winning New Homes in Perth and WA. 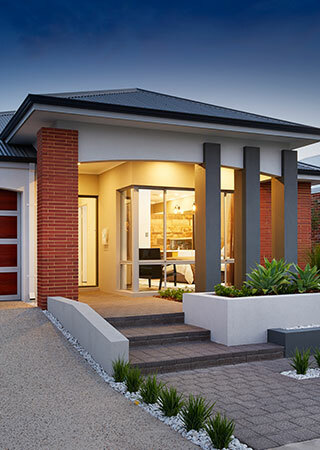 Ventura Home’s is a new homes building industry leader in Perth and WA. Our awards reassure you that Ventura’s standards (design, quality and service) are evaluated against the best, and consistently judged winners. So your new home more than matches up to stringent benchmarks in every way. Gain style advantages with premium suppliers. Because Ventura will never compromise on quality and style, we partner with only the very best, premium suppliers. So your beautiful new home comes with materials, fittings and finishes that you can feel and see are the very best. Helping you before you choose your new home. Choosing the design of your new home is no easy decision – especially if there’s a partner involved. Our team understand that you’ll have many questions, ideas and inquires about our range of new homes and the build itself. Our professional consultants are here help. Available in both Perth and the South West, our passionate team will help you choose the right home for your lifestyle, dreams and budget. The Ventura Homes team will answer everything you need to know about design, land, building, pricing, extras, inclusions, colours and anything else you can think of. We’re not just here to sell you a house, we’re here to help you plan, design and build your dream home to suit your lifestyle. So if you don’t know the finer details of your build, or if you’re tossing up between several designs, we’re here to assist. You may only build one new home in your life, so talk to the experts at ‘Ventura Homes’ and get the right advice. Want help choosing your new home? Creating a timeless new home is no easy task. Keeping with your life and projecting your style means making some tough choices, and that’s where we come in. Making the big decisions can be stressful, so we put you in the hands of our skilled team. Our design experts offer experience from many different fields, together our team will guide you through any query, question or decision you may have about any aspect of your build. The design consultation team are on hand to streamline things like floorplan choices, design flexibility, as well as to offer the right advice on street appeal, block suitability, local government regulations, finance questions, legal processes and more. When you work with ‘Ventura Homes’, you’ll also get your own dedicated interior designers to help you choose a colour scheme to match your lifestyle. Be it classic and neutral, bold, conservative or contemporary. You’ll get to visit our showroom boasting tiles, finishes, carpets, bathroom and kitchen fixtures and fittings, paint swatches and so much more. From bricks to bathtubs and everything in between Ventura Homes is here to help you make the right choice for your home. Beautiful colour in the home adds value to daily life, your investment and your resale prospects. When the colour scheme is perfect, it’s a visual symphony. But get it wrong and it’s not easy to ‘fix’. Colour extends further than wall paint (think floor and wall tiles, benchtops, splashbacks, cupboard doors, paving, roof) so the cost, time and inconvenience of rectifying it is not something you want. When you build your new home Ventura Homes, you’ll get a professional colour selection service, complimentary as part of the standard V-Spec. Build with us and you’ll receive a complimentary personal colour consultation with our Pre-Start consultants and Interior Designer, ready to make your new house a home! Our pre-start showroom experience is one of a kind – see for yourself… Just another great reason to choose Ventura Homes to build your dream home. Take a look at these articles about Ventura Home’s Prestart process. With over 20 years of building experience you can be confident that your dream home will be exquisitely built to the highest standards by people who want to make your dream home a reality. Enjoy peace of mind with trusted, personal service throughout every step of your build. You’ll work with approachable and knowledgeable Ventura staff from the very start. At Ventura we take pride in what we do and never forget that it’s your home and your dream we’re bringing to life. During the build you’ll be expected to make decision after decision, it can feel endless, but here’s where our HIA accredited sales consultants come in. They’ll guide you through every step of the build, presenting you with informed choices that are backed by years of experience. From positions of solar panels to maximizing your street appeal they’re there to help, giving you peace of mind and adding value to your home. We’ve refined our construction process to be as smooth and hassle free as home building can. Once your build moves to site, you’ll have a personal liaison officer who is your single point of contact during construction. This person guides your build process on site, and they’re there to keep you in the loop. So keeping the lines of communication open is very important. Do contact your liaison officer if you have queries. We have compiled a list of our most frequently asked questions. If you have a question that isn’t listed, contact us to find out more. Will my site need to be re-pegged? This will depend on the site itself and the design of the new home, but in many cases the answer is yes. Most home builders will charge you for a site re-peg, but Ventura Homes will include it as part of the service, at no extra charge. Will my house fit on the block I choose? Most good house builders will provide you with a fully prepared quote with an itemised breakdown of all inclusions for your proposed new home. Ventura Homes will provide this along with a scale drawing of the home sited on your block, free of charge. This will also allow you to plan how future developments, such as a swimming pool or garden shed, can be accommodated. Can you assist me with finance? Absolutely. At Ventura Homes, we’ll provide you with information from over 30 different financial institutions. This gives you access to the best advice and the right finance package for your situation. Just ask one of our consultants about your finance options. A site inspection is required to assess the level of site works you will need, and to determine the aspect of the home. It will also be used to fix the positions of the sewer network, water mains, and electricity and telecommunications connections. When you build a Ventura Home, a comprehensive site inspection is part of the service. We will also provide an obligation-free quotation for site costs, tailored specifically to your block of land. How long should my quotation and site inspection take? When making general changes to a home builder’s design, costings can be given immediately. In cases where changes are more detailed and need to be drafted, a one week turnaround is acceptable. If the service offered by a house builder at quotation stage is slow enough to frustrate you, it indicates you may be in for a long journey. What does the HIA have to do with the industry? The Housing Industry Association (HIA) is a self-regulatory body that ensures standards of quality and service are maintained. All of Ventura Homes’ Sales Representatives are registered with the HIA to ensure that they meet the required home builder standards. The HIA also conducts their annual Homes of the Year Awards. Homes are judged on a variety of criteria, including design innovation, aesthetics, construction, interior fitting quality and overall value for money. Ventura Homes has been a prominent Winner and Finalist in several categories HIA Award categories over the years. Should I insist on double clay brick? Ventura Homes build in double clay brick because it offers excellent strength and insulation properties. Choosing double clay brick when building your new home will also give you a wide selection of colours and styles to choose from. Every new home builder offers different warranty periods. At Ventura Homes, we provide a full maintenance period for the first six months after you take possession of your new home. On top of that, we offer a Lifetime year structural warranty (non transferable). That’s where Ventura Homes excels! We have an in-house design service to assist you in transferring your own home design ideas onto paper, and then into bricks and mortar. Our service is hassle free, and it won’t cost you the earth.